Writing can be fun, it can be work, and sometimes it can cause tears. Some of my kids can write all day and some of them hate even writing a short paragraph. 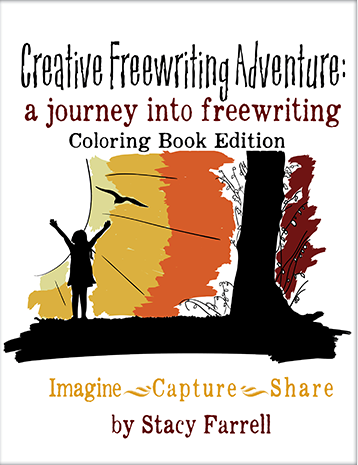 We recently started using the Creative Freewriting Adventure: A Journey Into Freewriting from Home School Adventure Co. We also received the corresponding Creative Freewriting Adventure Coloring Book Edition. 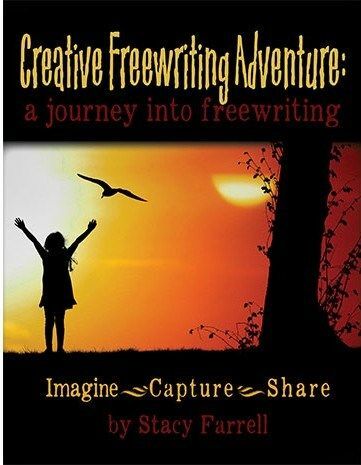 Creative Freewriting Adventure: a journey into freewriting is meant to be a fun writing experience.The 61 pages are divided into 10 engaging exercises. There is no preparation required of the student or teacher, you just set the timer for 15 minutes and write. There should be no emphasis on spelling or grammar so students can just use the short time to have fun and enjoy writing. The writing prompts start with some history and philosophy then the Your Journey Section introduces the student to a story that will get their imaginations going. The assignment follows by asking the student questions about the background, the dialog, and incorporating their senses. The Creative Freewriting Adventure Coloring Book Edition contains the same great writing prompts but also includes a coloring page for each one. These are a great addition if you have a younger child writing or if your teens are like some of mine and still like to color. This gives them a visual to go along with their writing. The Freewriting Adventure is available in print and digital form. We received the digital book and I was planning on printing a copy out for my 14 & 15-year-old girls, but when Delaney (age 14) realized what I was doing she said she would rather type her stories than write on paper. She loves to write and she said if she was only allowed to write for 15 minutes she needed to type or she would not be able to get all of her thoughts written out in that short of time with pen and paper. Then Amber (15 at the time) hates writing said she wanted to type hers as well because typing isn't as much work as writing. They are complete opposites when it comes to writing. Delaney is always writing and writes to the extreme and Amber only writes what she has to. When the 15 minutes were over Delaney wanted to keep writing and finish her story and Amber was ready to be done. Delaney was good with reading the introduction and the Journey to get her going on her creative writing. Amber on the other hand really liked having the questions there to help her create ideas in her mind and describe them vividly on her paper. I love the concept of freewriting to allow my kids to enjoy writing without getting bogged down with correct grammar and punctuation. I have noticed they are less fearful of writing when they don't have to worry about it at first. I think this creative writing book is fun for teens that don't like to write and for those that love it. A Sample of Delaney's story. Stacy Ferrell has written several titles for homeschool families. The Crew received several different ones to review, and you can read reviews for Celebrating Manhood, Walking with Waodani, and I'd Rather Be Your Mommy.